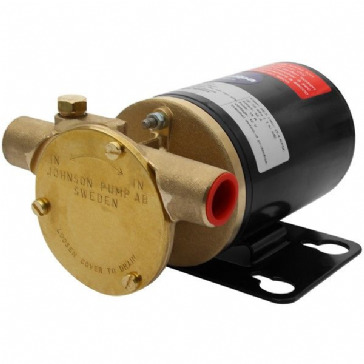 Johnson Compact Magnetic Driven centrifugal pumps, high flow rates with very low electric current consumption, making them ideally suited for circulating water ideal for tanks, heating and cooling systems. Designed for continuous operation with water. Liquid temperature range: –40°C to +100°C. • 16mm outlet • 12 Volt. 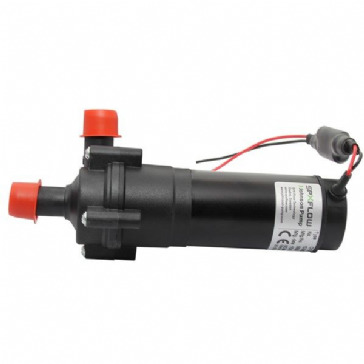 Johnson Compact Magnetic Driven centrifugal pumps, high flow rates with very low electric current consumption, making them ideally suited for circulating water ideal for tanks, heating and cooling systems. Designed for continuous operation with water. Liquid temperature range: –40°C to +100°C. • 20mm outlet • 12 Volt. 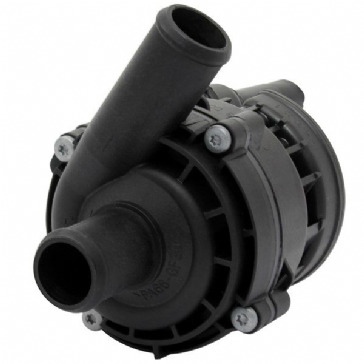 Plastic compact non self priming pump for hot water circulation, complete with mounting bracket. Magnetic drive (no shaft seal to leak). Up to 20,000 hour life. Brass "ecocirc" non self priming pump for hot water circulation, complete with mounting bracket. Magnetic drive (no shaft seal to leak). Up to 30,000 hour life.